Notes: Sheviak (2002b) discusses variability in this species, with spur length modified by pollinators, and spur length defining the infraspecific taxa. However, extreme variability in spurs and their development can lead to a single plant "simulating all three varieties" (Sheviak 2002b). There is limited geographic sorting of the three proposed varieties, all of which are found in the same habitats and have broadly overlapping ranges in western North America. "Intermediates and populations with variable spur lengths are abundant" (Sheviak 2002b). Luer (1975) also questioned the taxonomic validity of the varieties, even as he was proposing a new combination for one of them. Wallace (2003) suggested the species is "actively evolving" but failed to find molecular markers or consistent physical features to further resolve the three proposed varieties. We suggest more work is needed before the varieties can be reliably separated morphologically and recognized taxonomically. » Luer, C. A. 1975. The Native Orchids of the United States and Canada Excluding Florida. The New York Botanical Garden, Bronx, NY. » Sheviak, C. J. 2002b. Platanthera, pp. 551-571, In: Flora of North America Editorial Comittee, eds. 2002. Flora of North America North of Mexico, Volume 26, Magnoliophyta: Liliidae: Liliales and Orchidales. New York and Oxford. » Wallace, L. E. 2003. 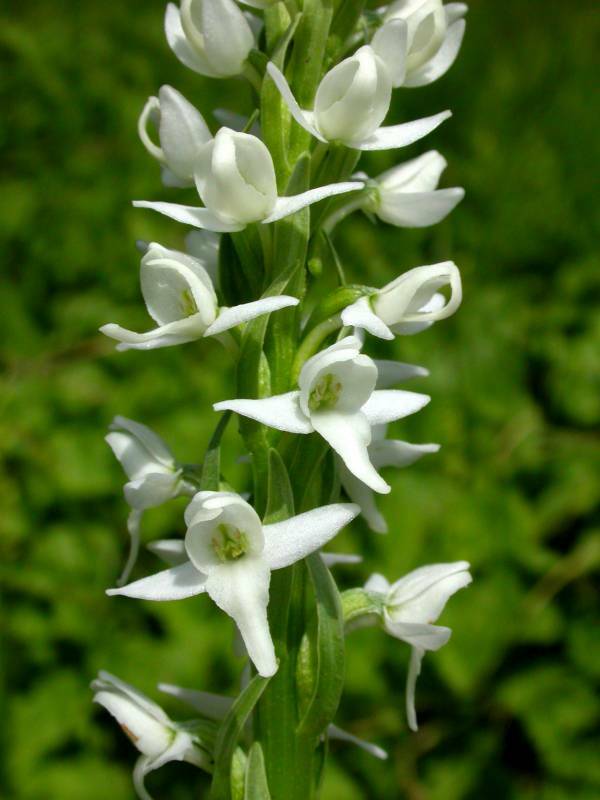 An evaluation of taxonomic boundaries in Platanthera dilatata (Orchidaceae) based on morphological and molecular variation. Rhodora 105: 322-336.